My new wetsuit is cool. It made from rubber glove. 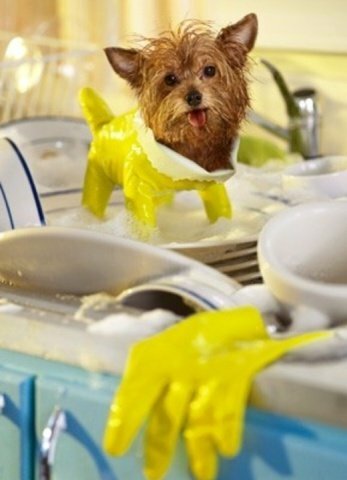 Now I not get dishpan paws!